In the cold northlands of Minnesota, Ryan got an early start playing trumpet in jazz, orchestral, and polka groups around the Twin Cities. He attended the University of Wisconsin at Eau Claire, and received a Bachelors in Music studying under Robert Baca. He went on to get a Masters in Music Performance from the University of Illinois, studying trumpet with Dr. Michael Ewald and Ronald Romm. Ryan has performed with ensembles large and small throughout the Midwest. He now lives in the mountains of Colorado and plays with many jazz groups in the northern Front Range. 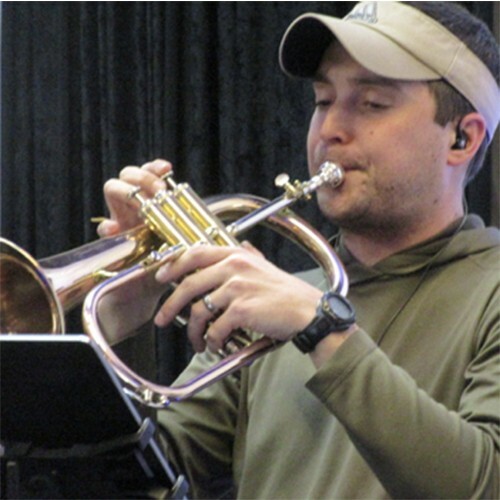 He leads the Trumpet Section for FJO.